Crab Trail in Shelley Blue features a painterly pattern inspired by the trails made by pippies in rockpools. 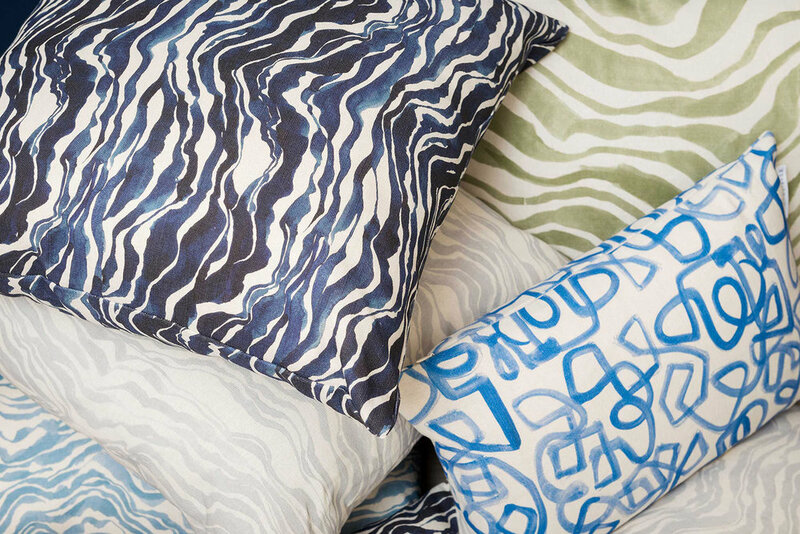 A gorgeous feature cushion or tones beautifully with a group of blues, navy & greys. PLEASE NOTE: This listing is for a cover only. It does not include an insert. Inserts are available for purchase through our online store. Please note: Inserts cannot be sent outside of Australia.